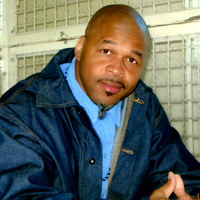 Darrell Lomax is an innocent man who has been on death row at San Quentin State Prison in California for over 15 years. A poet, musician and activist, Darryl has been fighting for his freedom and advocating for justice. Here, he explains what’s at stake in the Proposition 34 ballot initiative that would replace the death penalty with sentences of life without the possibility of parole. The SAFE (Savings, Accountability and Full Enforcement) initiative is on the Nov. 6 ballot as Proposition 34. The initiative was initially filed on Aug. 26, 2011, by Jeanne Woodford, a retired warden of San Quentin State Prison and executive director of Death Penalty Focus, and it saddens me deeply that enough Californians signed petitions to qualify it for the ballot. I hope that this letter will enlighten you as to why this bill is unconstitutional and does a disservice to all innocent people, both on death row and beyond, and why it is wrong to advocate for a sentence of life without the possibility of parole (LWOP), which is a death sentence simply being called by another name. I myself am a factually innocent man who has been falsely imprisoned here on California’s death row for 15 years. Aside from the loss of my physical freedom, I have also lost contact with my family and have been deserted by my old friends. As if that is not cruel enough, I have been in a long fight with the federal public defenders’ office, which has tried to work with the attorney general’s office to deny me my constitutional right to a new trial and has refused to assign me state habeas counsel, even though this is mandated by law in my appeals process. I have sought repeatedly to gain legal assistance for my complaints and to raise issues of my innocence in court. Sadly, my case is unique only in my steadfastness to fight on to get due process, and that the facts of my innocence are glaring and obvious. There are many people on death row who have been similarly mistreated and denied their rights in the appeals process. This bill is unconstitutional and does a disservice to all innocent people, both on death row and beyond. It is wrong to advocate for a sentence of life without the possibility of parole (LWOP), which is a death sentence simply being called by another name. So imagine, if you will, how absolutely horrifying it was to read that within Jeanne Woodford’s endorsement of the SAFE California initiative, she not only seeks to end the death penalty by re-sentencing death row prisoners to LWOP – the other death penalty – but to retroactively terminate the appeal rights of current death row prisoners, like myself. Woodford aspires to sell to the California voter a dream of ending the death penalty and saving our cash-strapped government money, when in fact she really wants to redirect the money saved from denying prisoners the right to appeal their sentence and conviction into law enforcement agencies. These agencies have a proven track record of injustice and will only further sweep all the dirt and corruption of this police state under the rug. Within Proposition 34, the SAFE California initiative, you will find the following disturbing language that acknowledges the very problems that I have raised earlier about the state of injustice that currently exists in our capital punishment system. Some innocent people have been executed. Experts have concluded that California remains at risk of executing innocent people. Innocent people are wrongfully convicted because of faulty eyewitness identification, outdated forensic science and overzealous prosecutors. The justice system is not doing what needs to be done to protect innocent people from coming to death row. State law protects a prosecutor even if he or she intentionally sends an innocent person to prison or death row, thus preventing accountability. Let’s take a moment to put these admissions in proper perspective. This reflects what many of us who have been fighting for real justice have known for years: The criminal justice system in this country and state is inherently flawed, and innocent people have died and will die as a result. Prosecutors who have willingly participated in this injustice are protected, not made accountable for their abuses of power and misconduct, and this is what is meant by “equality and fairness” under the law. This initiative does nothing to address these problems and instead seeks to limit prisoner appeals, which would actually make things worse. However, you cannot find anywhere within the entire initiative where there is any proposal for how to implement any state laws that would hold corrupt law enforcement agents or prosecutors accountable for their misconduct or for sending an innocent person to death row – the equivalent of false imprisonment and attempted murder, or actual murder, if the person was executed. How can such facts as listed above be admitted so candidly but SAFE have no means by which to make change and no means by which to hold perpetrators of this injustice accountable? What about innocence … and justice? Jeanne Woodford appears to have adopted a “sweep it under the rug” philosophy towards the justice system and doesn’t give a damn about justice or addressing any of the serious ailments of California’s broken justice system. She has insensitively proposed as a resolution in the initiative to overlook any and all factually innocent people currently on death row by eliminating appeals. Instead she simply states that eliminating the execution of innocent people is somehow justice enough. Re-sentence death row inmates to life without the possibility of parole. Terminate all death penalty appeals. Require every prisoner with LWOP to work to pay into a victim compensation fund as desired by the prison. Wait! I am certain that the state and federal constitutions guarantee citizens the right to utilize the writ of habeas corpus and challenge the legality and validity of their convictions, sentences and detentions. Currently, California law mandates that all people given a death sentence are due a post-conviction appeal. This appeal includes both direct and habeas components. The California Supreme Court is responsible for providing appellate counsel for all indigent death row prisoners. There are over 300 people on death row in California who have been here for over 10 years, myself included, who have not yet received appointment of counsel. I have been waiting over 15 years to clear my name. Prop 34 is not about saving lives but about keeping innocent people behind bars and limiting their right to clear their names. The very language of this initiative admits that, statistically, there is a one-in-nine probability that people on death row right now in the state are factually innocent – which means that approximately 77 people are awaiting justice. Proposition 34 is no more than a slow death for all those currently incarcerated on California’s death row – still death just by a different name. It also seeks to retroactively terminate all death row prisoners’ appeal rights, which means more innocent people will die and more injustices will be carried out. How will it be possible for the innocent to prove their innocence? Jeanne Woodford is on a mission to not only end the death penalty by bringing in “the other death penalty” – LWOP – but also to appeal to voters by callously limiting prisoner appeals, after admitting that the justice system is flawed and that innocent people are falsely sentenced to death row. Send our brother some love and light: Darrell Lomax, P.O. Box K-27402, San Quentin State Prison, San Quentin, CA 94974. Lomax innocent? I think not. As explained by the California Supreme Court: Lomax entered a liquor store and announced, "this is a robbery." He stood across the counter from the clerk, Nasser Akbar. Akbar handed money to Lomax. Akbar did not speak, reach for anything, or make any threatening gestures during this exchange. Nevertheless, after the money changed hands, Lomax shot Akbar twice. As Akbar lay on the floor, Lomax reached over the counter and shot him twice more. Lomax’s girlfriend, who was with him during the robbery, testified against him. A security guard also identified Lomax and his girlfriend. Lomax was arrested with a gun missing several bullets from the magazine. The shell casings from the murder scene matched Lomax’s gun. After his arrest, Lomax stuck a jail bailiff four or five times. All blows were to the head. The deputy suffered a concussion and was off work for nearly three weeks and was on light duty for some period of time thereafter. Lomax had previously attempted to shoot and kill a person during a carjack, but the victim ran and Lomax missed all three shots, one sailing past the victim’s ear. Lomax also robbed three men selling marijuana. Lomax and his friends bound the three victims hand and foot in the bathroom and Lomax said to one of his associates, "Get a knife. I am going to kill these guys." About 15 seconds later, the bathroom light was turned off. Defendant said, "good night," and fired four shots into the bathroom. All three men were hit. One bullet entered a victim’s head. It fractured his jaw, tore out his sinuses, and destroyed his right eye. ARGUMENTS OF INNOCENCE BOGUS. Proponents can’t identify one innocent person executed in CA. They can’t identify one person on CA’s death row who has exhausted his appeals and has a plausible claim of innocence. Quite simply, CA’s appellate process, designed by the very same people promoting Prop. 34, is 100% effective in weeding out the innocent. Every person Prop. 34 proponents refer to are either non-death-penalty cases or out-of-state cases where defendants do not get the benefit of CA’s appellate process. Proponents can identify three men who have been exonerated from CA's death row because of the lengthy appeal and habeas process this initiative would remove. (assistance of counsel) Yet to appease the revenge seekers they laud the savings of LWOP, death by another means, but surely a death sentence, and remove even this small safety valve of justice. I have no idea if Mr. Lomax is innocent. What I do know is opinions by the CSC from the direct appeal reflect the record of the trial court and only what is in the record. They cannot go outside the record. So, if the defendant lost at trial, and it is ruled there is no error in the record, of course the CSC opinion is going to read like an exact reindictment of the guilty verdict.